AMMONNEWS - The Head of Hamas' political bureau Khaled Meshaal on Thursday arrived in Jordan coming from Syria on a personal visit. A source close to Meshaal told Ammon News that the Hamas leader's arrived in Jordan to visit his mother, who is ill.
Thursday's visit is the second of its kind since the expulsion of the Hamas leadership from Jordan in August 1999, the latest visit was in 2009 when Meshaal came to Jordan to attend his father's funeral. 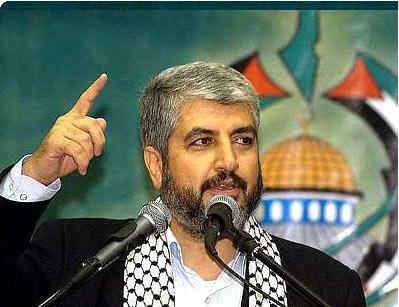 Meshaal has been the main leader of Hamas since the 2004 assassination of Abdel Aziz al-Rantissi, and heads the political bureau of Hamas in Syria, where he has been headquartered since 2001. Minister of Interior Mazen Sakit said on Thursday that Meshaal was allowed to enter Jordan for a limited time upon his request to visit his sick mother.